Diamond Key Properties is one of the premium real estate agencies in Dubai. Be it property buying, selling or renting, the company is all set to provide client-oriented services. Diamond Key Properties comprises a team of industry experts who go the extra mile to serve the property-seekers in the best way possible. It maintains transparency in its dealings and strives to cater to the requirements of its clientele. If you are searching for any kind of property in Dubai, please visit Diamond Key Properties and share your real estate concerns with them. Unit No. 2606, Building 8, Al Reem Island, PO Box 93856, Abu Dhabi, UAE. Al Ghurair is one of the largest diversified industrial enterprises in the Middle East, with global reach and business roots stretching back half a century. The Al Ghurair name is synonymous with the UAE and we are proud to be part of its rich heritage. With a history of pioneering innovative businesses built upon excellence, trust and responsibility, we have a deep commitment to enhancing life in the communities we serve. Office No. 636B, Office Tower 4, Al Ghurair Centre, Dubai, UAE. Kotsomitis Real Estate LLC hails as one of the best real estate brokerages dealing in the property options of Ras Al Khaimah. The company deals in the residential and commercial options of Al Hamra Village and other RAK Coastline Properties. 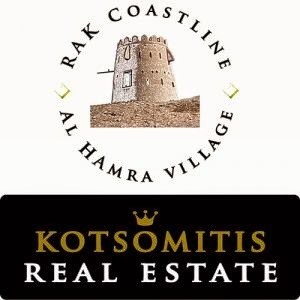 Kotsomitis Real Estate operates in the realty sector of the UAE with a vision of attracting high profile investors and residents to the localities of Ras Al Khaimah. The company features a team of amiable and dependable real estate agents who are all certified by the government’s real estate regulatory authorities. For the best services in the northern most emirate of the UAE, visit Kotsomitis Real Estate LLC today! GD 01-02 Commercial Units (Behind Al Hamra Mall), Al Jazeera Al Hamra, Ras Al Kahaimah, UAE. Middle East Real Estate Establishment is a UAE based property brokerage which provides unique services in the buying, selling and leasing of all property options in the UAE. The motto of the company is “Our clients are our partner in our success” and the company follows it religiously. The team of Middle East Real Estate Establishment features profound knowledge in the real estate market of Dubai, through years of hard earned experience. The company aims to provide seamless quality services to its clients and its team would never disappoint you in finding the required property within the time avaliable. For all your property needs, visit Middle East Real Estate. Office No. 117/118, Al Ain Centre, Mankhool Road, Bur Dubai, Dubai, UAE. Dar Al Ebda Real Estate is a brokerage firm in the realty market of the UAE. It was founded in 2001 and since then it has been successful in maintaining high standards of service. Be it residential, commercial or investment properties, we always seek to provide best properties catering to the needs and demands of our clients. 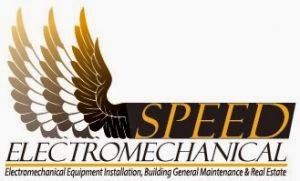 With time, we have also expanded our services to engineering & facilities management. Our team consists of industry professionals who retain vast knowledge of the real estate market and work in the best interests of the clients. We welcome you to visit Dar Al Ebda and share your real estate related concerns with us. Office No.M16, Grand Lottus Hotel Apartment, Hor Al Enez, PO Box 89454, Dubai. Smart Deals Properties is a Dubai-based property brokerage that deals in the buying, selling and leasing of all residential and commercial offerings of the emirate. The company provides dependable services in the realty market of Dubai. Smart Deals Properties features a team of veteran property brokers who have turned every stone in the property market of Dubai. They are also quite amiable and would go out of their way to assist their clients in all their property needs. 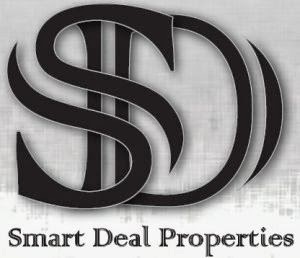 For best realty services in Dubai visit Smart Deals Properties today! Office Number 102, Al Maha Tower B, Al Barsha, P O Box 454274, Dubai, UAE. 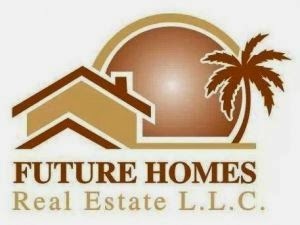 Future Homes Real Estate started operating in the property market in 2006 and since then the company has been providing quality services in commercial, residential and corporate sectors. The company deals in the buying, selling and leasing of all property options in Ajman. The veteran team of the company is well illuminated of every nook and corner of the real estate market of Ajman. The company builds its reputation on crystal clear property transactions and excellent customer service. For all your property needs in Ajman, visit us today! G02-A5, Al Khor Towers, Al Rashidiya, PO Box 14598, Ajman, UAE. At Vita Nova, we focus on giving our clients the services and treatments that we extend to our closest friends. Be it finding a new home or making the correct investment move, Vita Nova will assist you through every step of this important journey. Our dedicated team of highly professional real estate experts are also very skillful at helping you sell and/or rent-out your property. Most of our clients are returning ones and the remaining reach us through the word-of-mouth. Just give us a call to discuss your property related matter and we will make sure that you end up doing the best that is in your long as well as your short-term investment goals. Office No. 401 A, Bridge Tower, Dubai Sports City, Dubai, UAE. Speed Real Estate is an Abu Dhabi-based property brokerage that provides an array of services related to the realty sector of the emirate. The company deals in buying, selling and leasing of residential and commercial offerings of Abu Dhabi. Along with the brokerage services, promoting crystal clear property transactions and infusing dependability among its clients, the company also provides building management and electromechanical services in the construction sector. The real estate team of the company is divided into three parts, the sales team, the leasing team and the electromechanical team. Each team, dedicated to its sector, works efficiently and in harmony with its clients. For the best realty services in Abu Dhabi, visit Speed Real Estate today! Office No. 105, Next to Dana Hotel, Turest Club Area, Abu Dhabi. One of the most renowned Real Estate agencies dealing in Dubai, Great Deal Real Estate deals in residential and commercial properties in the emirate. The agency is well known for its state of the art realty services, exceptional customer services and a wide array of residential and commercial properties. We take pride in working with industry professionals who pick only prime developments and the best properties in order to fulfill our customers’ needs. Whether you are buying or renting property to live in or investing to get maximum revenue later in the future, you will find nothing less than the best. Office No 810, Lake Central, Burj Khalifa, PO Box 450202, Dubai, UAE. Success Real Estate Brokers ( SR ) can efficiently address your real estate requirement, whether it is purchase of land, leasing and managing properties, buying freehold property, selling your home or in valuation. Land – Purchase of Land, Lease or Sell the same. We advise our clients on the market trends and statistics – for instance, identifying land with potentially better yields. Leasing and Management of Properties – Success Real Estate ( SR ) has a diverse portfolio of living spaces – from villas, plush apartments in prime elegant locations to warehouses and offices/showrooms. Offering state-of-the-art properties with all the latest sophisticated facilities for lease, and competitively managing such properties, thus creating a niche in the property market has been our endeavour. Freehold – Offering a structured portfolio of freehold properties in most of the developed projects in the freehold sector, launched since inception of reputed construction companies such as Nakheel, Emaar and others, to address specific needs of our clients. Also, we play an active role on behalf of owners as well as buyers, interacting with them on individual basis for execution of property deals. Office No. 312, Al Barsha Business Center, Al Barsha1, Dubai, UAE. We are Professionals specialized in sales of luxury villas in Abu Dhabi. Such as Golf Gardens, Raha Gardens, Marina Village, Al Gurm resort and in selling commercial and residential buildings and towers in Abu Dhabi and Dubai. Also specialized in Handsome investments opportunities for Client with confidentiality in mind. Office 1104, Opal House Building, Al Nahyan Camp, Abu Dhabi, UAE. TOP3 Real Estate Broker delivers high quality real estate services to people who are willing to buy, sell or rent in Dubai. Being equipped with updated and authentic property market information, the company seeks to guarantee a strong portfolio for its clients. TOP3 Real Estate makes certain that its customers have access to luxurious and excellent properties in the emirate. As it operates in Dubai, which is one of the most sought-after places in the globe, TOP3 Real Estate Broker seeks to bring the UAE property market on the top through the provision of deluxe properties. Shop No. 6, Building X9, England Cluster, International City, PO Box 87745, Dubai, UAE. Arabian Castle is one of the premium real estate brokerage companies in Dubai. The firm was established in 2011 and since then it has been serving offshore and local property purchasers. We aim to provide the best property solutions to our clients and serve them in a professional and personalised manner to meet their expectations. Our team comprises of real estate experts who go extra miles to satisfy the real estate related requirements of our clients. We intend to develop long-term relationships with you and play our role in the best way possible to protect your investment. Be it property buying, selling or renting, we invite you to visit us or give us a call to share your property related requirements with us, let us help you find the best deals. Office No. 2107, Regal Tower, Business Bay, PO Box 191809, Dubai UAE. Property Linkers Real Estate is the option for you if you are planning to locate freehold properties in Dubai, Ajman, Umm-ul-Quwain or Ras Al Khaimah. The company is always on the search for freehold properties, engaging in the sale, purchase as well as renting of these properties. Being a client of Property Linkers Real Estate means that clients will be well-connected with the property market and will avail from the various option available to them. Also, as the company has been active in the property market for a long time now, it has, on its fingertips, all information about the UAE realty sector. Whatever the customer wants is delivered to him in the right span of time as Property Linkers have a strong reputation when it comes to deliverance and excellence. Office No. 11, Building No. V-04, Russia Cluster, International City, Dubai, UAE. 786 Real Estate is a Dubai-based property brokerage company that deals with both the commercial and residential options in the emirate. The reputation of the company stands resolute for its quality transactions related to property and its dependable services in buying, selling and leasing. The company deals for both corporate and individual clients and its brokers are Real Estate Regulatory Authority (RERA) certified. For several years prior to its incorporation, the founders of the company have been actively involved at real estate markets of UAE, Canada & Karachi. You may be going to be an owner for the first time or an Investor looking for the right place to invest; our team would assist you right from providing information to closing your deals. We specialize especially in the sale and rental of freehold properties and land in Dubai beside managing properties for the Landlord. We give personal attention to every property that we manage. Our business is built on repeat tenants and lease renewals. We believe that satisfied owners and tenants are key to our success; hence we aim at building lifetime relationship with our investors & client based on integrity and trust. Office No. 11, 3rd Floor, Save and Smile Super Market Behind Danata, Deira, PO Box 237321, Dubai, UAE. We are real estate brokers specialized in buying and selling properties listed in Dubai. We offer a portfolio of different properties in major commercial and residential developments. We look forward to provide fully comprehensive solutions in a fast growing market, where investors are spoilt for choice. 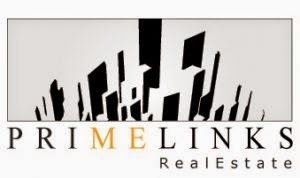 Primelinks Real Estate is a member of the established Market Associates Group, which has diversified interests in the Financial, Medical, Resource Management, General Trading and Consultancy sectors. It was set up to cater to the real estate needs of our investors in the region and beyond, primarily in the freehold sector. Our aim is to provide professional solutions for both buyers and sellers, with integrity and client satisfaction as our main guidelines in business. Not only do we guarantee correct information and transparency in all business aspects, we also possess extensive local knowledge and expertise invaluable to both our resident and foreign clientele. In order to help you make the best possible property investments and ensure transactions are as smooth as possible, we have carefully built a strong network of prominent players in the Dubai real estate market. We also utilise varied and creative methods of advertising, in order to ensure buyers and sellers are always aware of all their investment options and opportunities. Offering a comprehensive range of property services, MPM Properties helps you create value. Whether you are planning to develop a new property or invest in an existing one, MPM offers the right expertise; from planning to development, construction to handover, handover to occupation, management and even value enhancement. MPM combines international qualifications and service levels with an in-depth understanding of the UAE property market. A Sharia’a compliant company, MPM offers a strong focus on ethics, transparency and understanding our clients’ needs. With over 120 highly skilled and dedicated professionals, MPM Properties operates in Abu Dhabi, Al Ain, Dubai and Sharjah. Office No. 4, Arenco Tower, Media City, Dubai, UAE. Hallmark real estate is a property brokerage firm that holds expertise in the realty market of the UAE. We provide services related to the buying, selling and renting of properties and go an extra mile to provide the properties meeting to the needs and wants of our clients. Our clients are our treasure and we believe in harmonizing a relationship of trust with our clients. We listen to the concerns of our clients and synchronize transparency with them in our dealings. We welcome our clients to give us a visit and we will direct them to the properties suiting to their criteria. Office No. 1112, The Metroplis Tower, Burj Khalifa Street, Business Bay, Dubai, UAE. 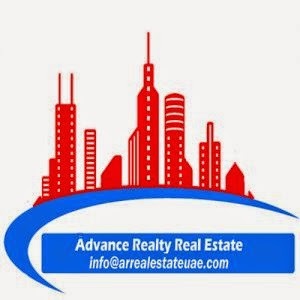 Being an experienced real estate agent based in UAE, Advance Realty Real Estates deals in all types of properties in Dubai. The company is known for its expert advice and timely deliverance of services. It also manages a diversified portfolio of properties, providing customers a wide range of finest options to select from. Advance Realty Real Estates is the option for customers who are looking for comprehensive and integrated insights in to the realty sector of UAE as the company will strive to provide advanced levels of excellence. Office No. 207, Blue Bay Tower, Business Bay, Al Abraj Street, PO Box 231017, Dubai, UAE. Capstone Real Estate deals in property management, property sales and rentals in affluent parts of Abu Dhabi and Dubai, selling commercial properties, residential properties and vacant land. Being a fairly new company, Capstone aims to develop long standing relationships with its clientele with the affiliation based on honesty, morality and reliability. Despite its recent establishment, the company comes with considerable experience in the realty market and has a team of highly skilled and proficient real estate experts who provide guidance and advice to customers. Capstone Real Estate is committed to its work and strives to provide you, the customer, with the finest property options available in Dubai and Abu Dhabi. Office No. 701, Lama Building, Al Barsha 1, PO Box 29092, Dubai, UAE. Elite City Real Estate is one of the prominent real estate firms in the emirate of Dubai. The company works with a vision of providing exceptional propositions to the clients. With years of experience in the realty sector, the firm has all the expertise of catering to the real estate requirements of the property buyers, sellers and investors. The firm creates customer confidence by adopting an honest approach. It also invests in its human resources to aid the staff develop necessary skills. If you are looking for any property in Dubai, please visit Elite City Real Estate and share your real estate-related requirements with them. 29th Floor, The H Dubai Office Tower, One Sheikh Zayed Road, Dubai, UAE. As a real estate brokerage firm, AKT was established in2010 and since then we have been in fast lane to help our clients with their diverse real estate related needs. We offer our clients not just smart ways to invest in the thriving property market of the UAE but also offer them a deep insight into what’s actually going on the market. Be it a small investment or a proposition you are looking for your property, we make sure that you get nothing short of the best offer through our experienced and well informed staff who are familiar with the market from inside out. So, don’t hesitate, just give us a call and we will take care of it all for you. Unit No. 615B, IBN Battuta Gate Office, Dubai, UAE. Formerly known as Bakhait Saeed Commercial Broker LLC, Khalifa Bakhit Real Estate LLC was established in 1998 and since then it has been catering to the needs of property hunters of the UAE. Our company is a real estate dedicated firm that provides high quality services to its clients by featuring top notch products and facilities. At Khalifa Bakhit Real Estate LLC you can gain assistance in all your property pursuits. From marketing to property management, our company will provide you with such services that you will be compelled to recommend us to your family and friends. 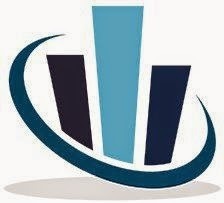 Our company specializes in assisting the customers in making educated investment decisions. For all your property needs visit us today! Shop No. 2, England Cluster Z-2, International City, Dubai, UAE. 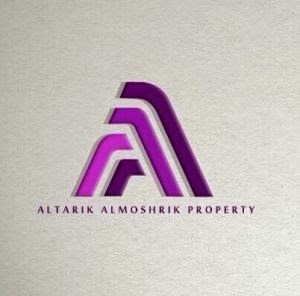 Altarik Almoshrik is the real estate consultancy firm in the United Arab Emirates (UAE). We deal in residential and commercial properties and try our best to provide properties that match the requirements of our clients. We give primacy to transparency in our dealings. We tend to foster long-term relationship with the clients and endeavour to work in their best interests. We welcome you to give us a call or visit our office to share your real estate related matters with us. Shop No. 8, Building C-14, China Cluster, International City, Dubai, UAE.